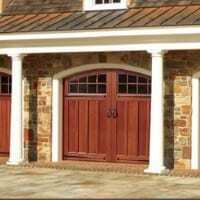 Nothing quite compares to the warmth and beauty of a well-crafted wood carriage garage door. Artisan’s Medallion series – known for its signature series of custom doors – has been expanded to include standard door options that provide more affordability without compromising quality. Learn more about the three series below.